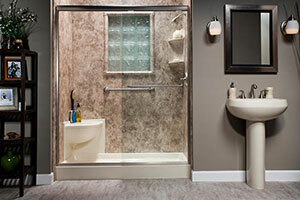 Nebraska and greater Denver homeowners rely on our quality bath products and professional bathroom remodeling services. All Bath Planet products are backed by a limited lifetime warranty. Work with professional designers to create the perfect bathroom. Certified contractors install your new bath in as little as just one day. For all of your bathroom remodeling needs, the professional full-service bath remodelers at Bath Planet of Nebraska and Denver offer top-quality solutions for virtually any timeline and budget. Whether you need a full floor-to-ceiling bathroom renovation or a quick tub/shower upgrade, our experts provide the design solutions, extensive product selection and quality workmanship you need for a quality, affordable bathroom remodel. With our large selection of durable acrylic bathtubs, new showers, wall surrounds, enclosure systems and various bath accessories, your new bathroom is tailored to your home based on your design style and functional needs. All of our products are engineered for a perfect fit and professionally installed by our certified home remodeling contractors. By choosing Bath Planet of Nebraska and Denver, you can enjoy your newly remodeled bathroom in as little as just one day – and for many years to come. Your new bathroom is created to fit your space, design style and functional needs. Choose from our extensive selection of durable acrylic products, each professionally installed in as little as just one day. 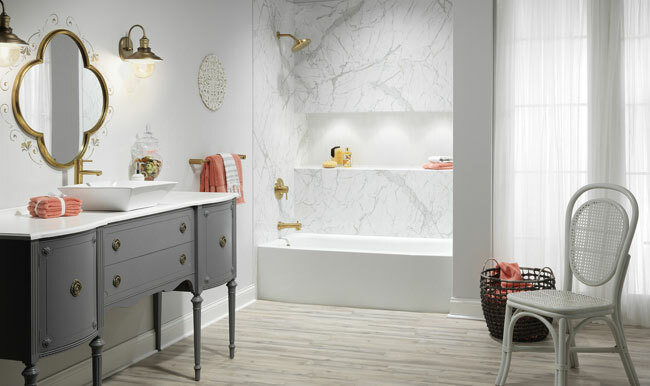 Select from a variety of styles and colors to customize your new bath. Step into your spacious new shower with a limited lifetime warranty. Enjoy the therapeutic benefits of a deep soaker tub with jets and a door. Benefit from a tub-to-shower conversion or replace the shower with a tub. We specialize in best-in-class bathroom remodeling, providing top-of-the-line products and exceptional installations to all of our valued customers.